What rank in the UPSC will give me my home states in the civil service? Home » What rank in the UPSC will give me my home states in the civil service? What rank in the UPSC will give me my home states in the civil service? 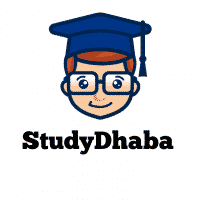 – This is The One Of The Most Asked Question On Our Website Studydhaba . Here we Are Trying Our Best To Provide You Full Details About cadre Allocation . If You Want Home Cadre Than Your Rank can be a Deciding Factor . But There Are many Other Factors also Like Availability Of Vacancies ,Your Rank In CSE And Cadre Preferences Of Other Candidates Also . But A Good Rank Can Also Not Give Full Guarantee That You Will Get Home Cadre . Here The Some Examples. Here you can see that none of the top 4 ranks allotted their home cadre (I heard one of top 4 did not opt for his/her home state). So even getting an AIR 1 does not guarantee you getting home state. UPSC has adopted a New Cadre Allocation Policy (2017) for all-India Services (IAS/IPS/IFoS) where it divided all the cadre into 5 zones. You may go through this http://persmin.gov.in/ais1/Docs/… to know more about it. As stated above, your cadre also depend on vacancies available that year in your respective category. Below is the vacancy details for CSE 2017. So don’t think about cadres etc while preparing for the exam. Its not in your hand. Better prepare well and in that way your chances of getting your preferred cadre will be higher. You Just Focus On Your Preparation And Try To Clear Exam With Good Rank . Rest is …….